I still remember when I first saw the original announcement video for Pokemon Go nearly 2 years ago in September 2015. I have been a huge Pokemon fan for most of my life, and needless to say I was incredibly excited for this game to be released. I kept up with every update, every beta test, every tiny rumor or tidbit of information that I could get my hands on. When that fateful day arrived, I downloaded the app as fast as I could, nearly exploding with anticipation. And that is where the problems started. I was completely unable to log in the first day. Or the second day. After that, I was able to (intermittently) get into the app, and soon I discovered what times the servers would be less busy, and was able to log in more consistently. For a while, I actually really enjoyed the app – I like to walk anyways, so it was nice to have something to do while walking. However I quickly discovered that Pokemon Go was far from the game that I had anticipated, and I was not alone. While this game was a huge smash hit for a few weeks, it has since lost a huge portion of it’s user base. Today I hope to take a look at some of the problems with this app, and see what could be done to prevent these sorts of mistakes in the future. There are few games whose releases have ever been as hyped as Pokemon Go, and for good reason. Not only was the promise of being able to bring the Pokemon experience to real life incredibly tempting, but the ads and trailers for this game were INCREDIBLE. Of course, I didn’t expect the actual game experience to match that shown in the advertisements, but by setting the bar so high I believe that they were only setting themselves up for failure. No matter how good of a product they released, there is no way they would ever be able to live up to those promises, and that can’t help but lead to a feeling of disappointment. Seriously though, how awesome were those trailers?! Not only did Pokemon Go set expectations to an impossible level, but I personally believe that they failed to live up to the core promise of their game – bringing the Pokemon experience to real-life. Pokemon Go made numerous changes to the Pokemon formula to bring it more in line with other mobile apps on the market, which ended up making it feel less like a real Pokemon game. First of all, they got rid of the most fundamental aspect of Pokemon – battling. In previous walls I have talked about knowing what is a “bearing wall” of design, and battling for Pokemon isn’t just a bearing wall, it’s the entire foundation. Sure, there have been spin-off games that don’t have battling, but if your goal is to bring the Pokemon experience to the real world, this is simply something you cannot ignore (yes, I know that gyms technically had some form of battling, but I’ll talk about that later). By removing this fundamental aspect of gameplay, you end up completely changing the way that you capture Pokemon. Now, instead of trying to carefully wittle down your target’s health so you can successfully tame it, it just becomes an annoying dexterity minigame where you hope that Zubat doesn’t flap away at the last second. Just let me catch you! I don’t even like Zubats! In addition, battling to level up your Pokemon used to be the main way that you evolved them into stronger forms, but without battling they had to come up with a new form of evolution. The form that they chose, however, was “candy”, which means that you have to catch several of the same Pokemon over and over again to evolve it once. This led to incredibly repetitive gameplay and was counter to the game’s purpose. Without battling the game mostly became a collecting game, but collecting is all about novelty and finding new things, which is impossible when you have to repeatedly collect the same things. 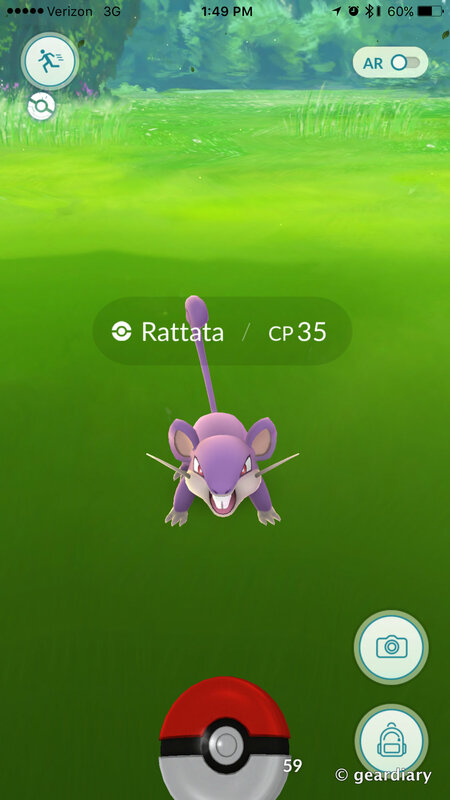 Also, when all you can find is FLIPPIN’ RATTATAS!!! Finally, by removing battling, collecting basically became the only thing you could do in this game. Especially because the gym system was so broken, there was basically nothing to do with your captured critters once you had them. For a while the collecting was still enough to hold people’s attention, but after a while you had collected most of the common Pokemon in your area and evolved all your Pidgeys. New Pokemon became rarer and rarer, and people lost interest. In addition, while battling is probably the most obvious removal, it is far from the only aspect of Pokemon missing from this game. Numerous other core features of Pokemon gameplay, such as trading, are completely missing from this game. Even pokemon breeding, which would work perfectly with Go’s walking based game mechanics, is completely absent. After Pokemon Go was announced, I waited in anticipation for almost a year for it to be released. I thought that it couldn’t come out soon enough, but now I wish that they would have waited a little longer and really worked out all of the major bugs first. Not only did this game have a severe lack of features, but many of the features that it contain were completely broken. For an example, take the gym system. Now, I personally think that the Pokemon Go gym system was badly designed from top to bottom, but now is not the place to talk about that. What I will talk about, however, is the fact that it didn’t work. I remember fighting down a gym to a tiny sliver of HP, but being completely unable to bring it down to zero no matter what I did and eventually losing because it was impossible to win. The gym system, though, was far from the only unfinished system in this game. Everything from the pokeball throwing to the tracking system just felt incomplete and buggy, and I think the game would have benefitted immensely from a few more months of testing before release. I already mentioned the server issues, but for those who did not experience them first-hand, it is hard to overstate how busy these servers truly were. This game was a phenomenon and while I’m sure that Nintendo and Niantic expected it to be a hit, I don’t blame them for not knowing just how huge it would be. That being said, these sorts of demand shortages seem to be par for the course for a Nintendo product. Not only was it nearly impossible to get into the game, but the Pokemon Go Plus (a wrist device that tells you when Pokemon are nearby so you don’t have to drain your entire phone battery in 10 minutes) was incredibly short-stocked and difficult to find. This is a common sight with Nintendo, where everything from Amiibos to the NES classic to the Switch were severely understocked. Hey Nintendo: How about, as an experiment, you try releasing a reasonable amount of your products! Who knows, maybe it’s not so bad! One of the best things about Pokemon Go is the fact that it got people onto their feet and walking around. I personally love that about this game, as it can be a very refreshing experience to be walking around searching for Pokemon and see somebody else doing the same thing. Because of this game, people around the world walked collective millions of miles. That being said, I think the fact that you cannot play the game WITHOUT walking is one of it’s biggest mistakes. When I get the chance, I enjoy being able to completely immerse myself in a game for hours at a time, but Pokemon Go is essentially a mobile experience. While you could walk around staring at your phone for hours (and I have), this isn’t possible all the time, and it has diminishing returns. One of the main features this game is lacking is the ability to play it for a few minutes at a time without having to get up. This could involve something like battling against another player online, or playing minigames such as the Pokemon contests from Ruby, Saphire and Emerald. Finally, I think that the biggest reason that people lost interest in this game is that, after a certain point, there is nothing left to do. Eventually you have either caught all of the Pokemon that you want to catch, or after searching for days on end have just given up looking. After that, what else is there? Sure, you could try to capture gyms for your team, but the way that gyms are set up give a significant advantage to the attacker, so it is almost impossible to hold them for any length of time. And even if you can hold onto them for a while, what is even the point? Or perhaps you are content just to raise your level as high as you can? 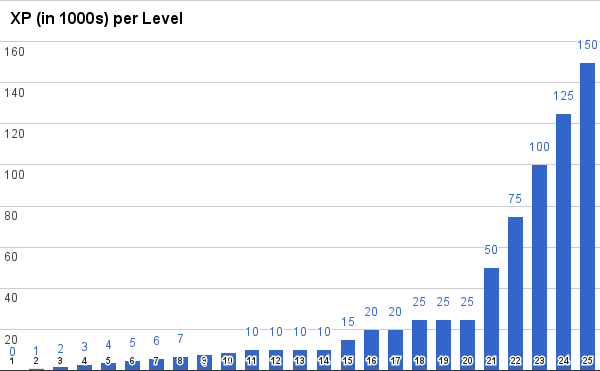 Too bad that the amount of experience required to level up increases drastically once you hit level 15, and since there are fewer new Pokemon to discover that experience will come a lot more slowly. At the end of the day, Pokemon Go didn’t turn out to be the incredible gaming experience that I and so many others were hoping for. That being said, I believe that it was still a game-changer (literally). Companies all over the planet have seen the incredible success of this game (however brief), and before long we will be seeing many more Augmented Reality phone apps on the market. Although Go’s success didn’t last, I can still hope that it will lead the way for better games to come. Thats all for this week! Thanks for reading, and feel free to leave your thoughts down below! And let me know – did you play Pokemon Go? If so, do you still play? Why or why not? Also, tell me what you thought about the article, and what games you would like me to talk about next! Next week I will be talking about one of my favorite stories in gaming – the crazy history behind the Trading Card Game Kaijudo! See you next week!